Rarely had we seen so many motorhomes in Sweden as we did in Gränna. The town is situated on the south-eastern shores of Lake Vättern, with tourism being its main source of income. However, not only do visitors come here for the red-and-white candy canes but also to enjoy the pleasant climate, the feel of a friendly, smaller town and the dramatic landscape. Once you have stood on Gränna Mountain above the town centre and taken in the stunning view, you will understand: you have a view of Lake Vättern, Sweden’s second largest lake, the historically significant island of Visingsö, and the steep slopes of the biosphere reserve “Östra Vätterbranterna”. 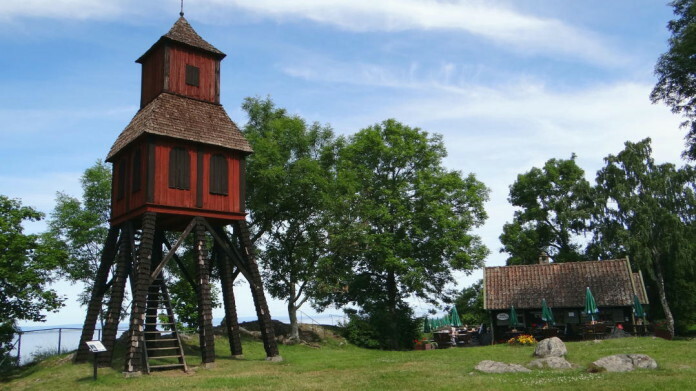 Gränna Mountain can be reached by climbing the steps that begin near the centrally located Gränna Church. There is a café on the top of the mountain. 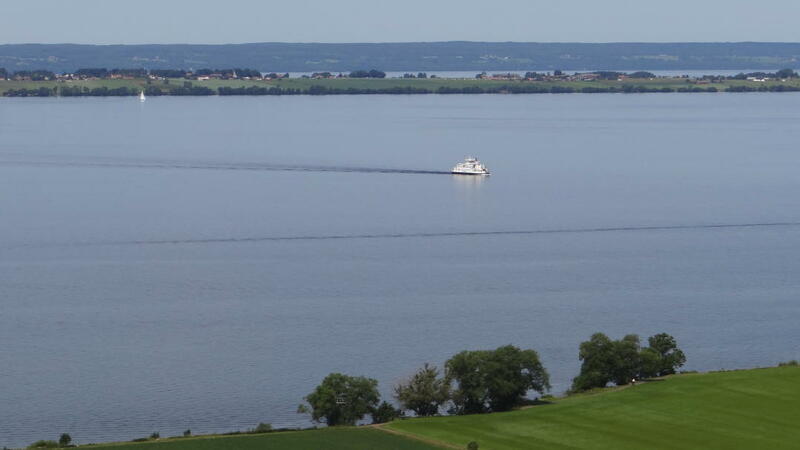 If the weather is nice, we highly recommend the short but steep climb of 243 steps to the top. Those of you who want to do a little extra walking can continue for another 1.5km along a trail from Gränna Mountain to the next viewpoint, the Tegnér Tower (sometimes called “Skogstornet”, i.e. Forest Tower). It reaches an altitude of 351 metres above sea level. 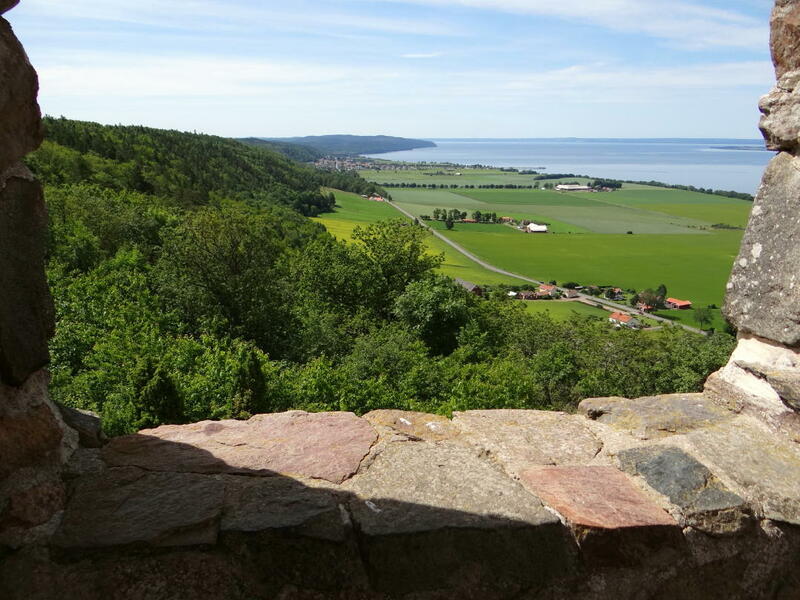 In clear weather, you can see all of the four provinces surrounding Lake Vättern: Närke, Småland, Västergötland and Östergötland. There are 144 steps leading up to a viewing platform at the top. However, climbing the tower is only recommended for people with a head for heights. Gränna is an idyllic small town with painted wooden houses, cobbled streets, candy bakeries and a lively harbour area. 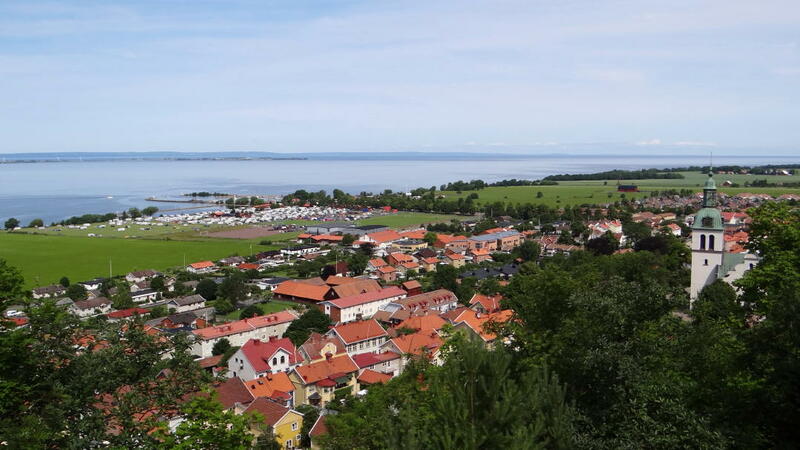 The town is part of the municipality of Jönköping in the north of Småland. It was founded in 1652 and planned following a certain regularity, symmetry and spaciousness in its design. Brahegatan, the long main street running through Gränna, is busy with cars in summer. There are two streets running parallel to Brahegatan: Sjögatan on the side by the lake and Bergsgatan above the town centre (where you can see old houses with beautiful rose gardens). 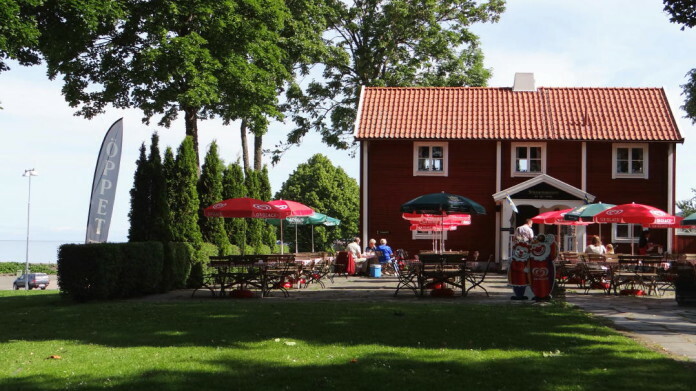 Located in the market square (Torget), the Grenna Museum is in the same building as the tourist office. The museum brings life to the story of the spectacular und tragic balloon expedition of North Pole explorer Andrée and his two companions. 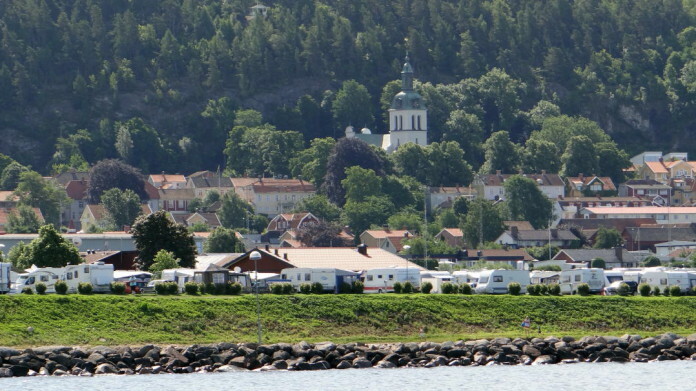 Andrée was born in Gränna. 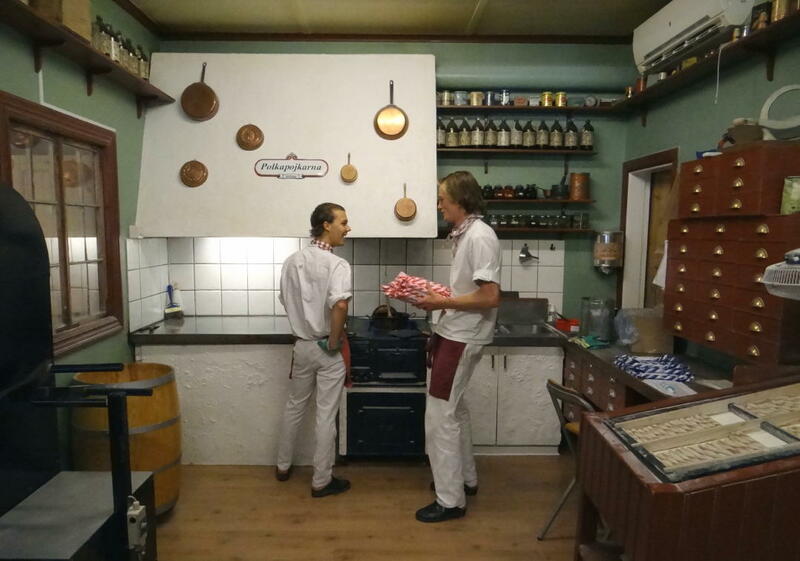 Since the 1850s, Gränna has been renowned for its red-and-white candy canes. Today, there are around a dozen bakeries in the town centre making “polkagrisar”. Almost all of them offer visitors to watch the manufacturing process. The shapes, colours, sizes and flavours of the sweet mass are very varied. 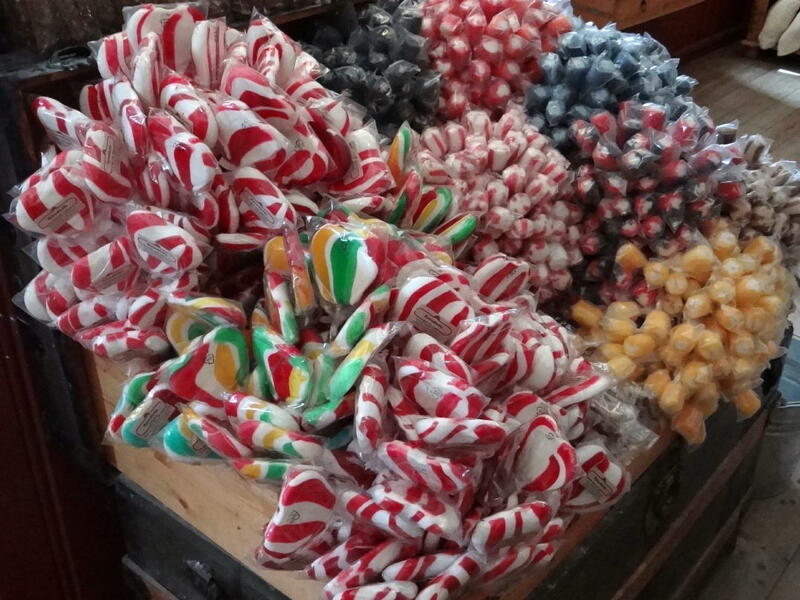 The candy canes are a popular souvenir and make for a great gift to give to family or neighbours at home. 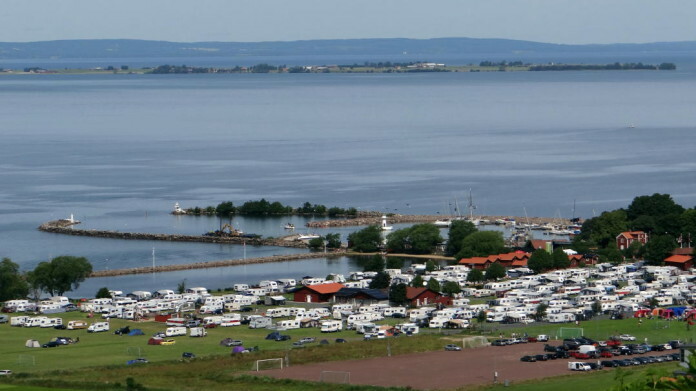 Gränna is a town that really looks after motorhome tourists. At the harbour, for instance, 30 plots for motorhomes have been made available, of which 20 offer electrical outlets. Fees can be paid at a vending machine. The site is secured by a barrier. 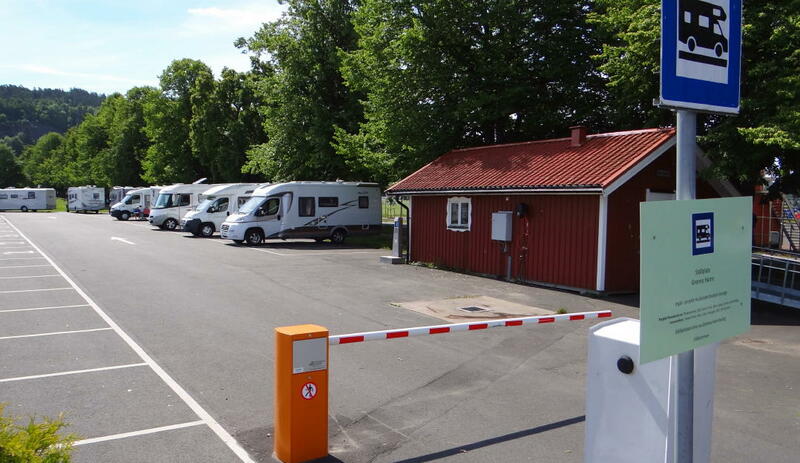 If it is fully occupied, there are regular parking spaces with a maximum parking time of 24 hours as well as a camping ground with lots of lawn space close by. The Grenna Hamn AB ensures that even during the high season no motorhome tourist will be without a space. 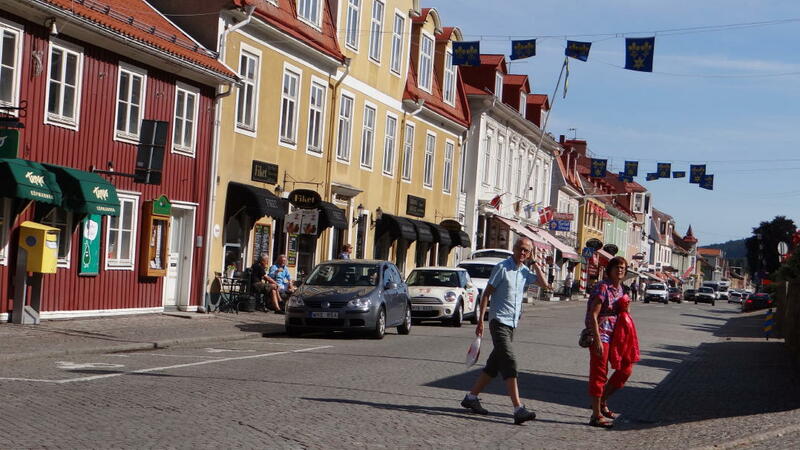 Within the harbour area of Gränna you will also find various restaurants and shops. 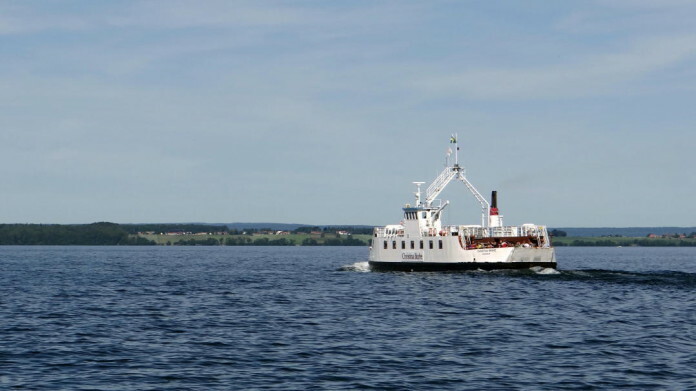 Röttle is situated south of Gränna. The small river Röttleån running through the village has been a source of power to several mills for centuries. Hydropower is still used today to grind flour in the summer — the mill is called “Rasmus kvarn”. 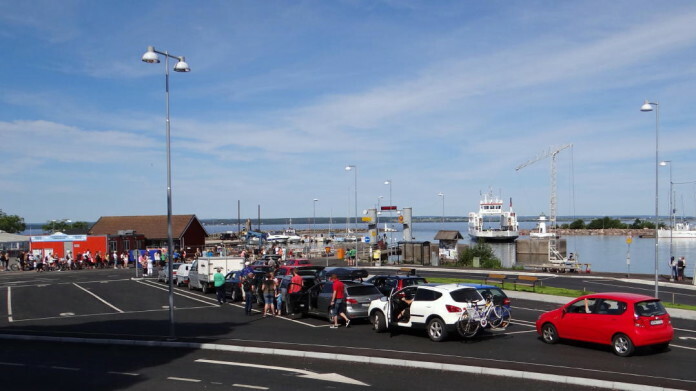 The car and passenger ferries to Visingsö Island depart from Gränna harbour. At Visingsö you will find excellent bathing spots, abundant oak forests and an open landscape ideal for cyclists. 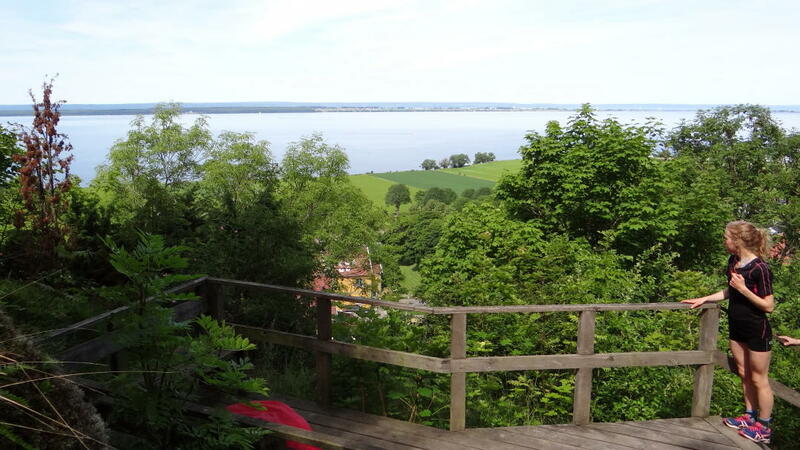 On the European route E4, there are two rest stops that offer spectacular views of Lake Vättern: Gyllene Uttern (south of Gränna) and Brahehus (north of Gränna, see picture below). The video is in Swedish but you will understand how they make the candy canes even if you don’t speak Swedish.